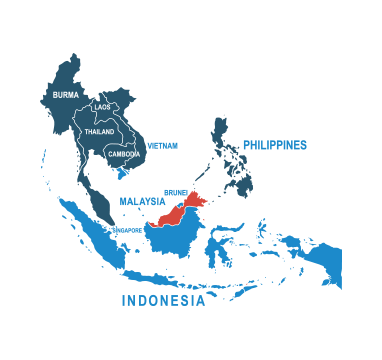 Separated by the South China Sea, Malaysia is made up of two regions: Peninsular Malaysia, and East Malaysia on the island of Borneo. Part of the international spice route hundreds of years ago, it remains a melting pot of cultures and a land of sometimes extreme diversity. If you’re sending a parcel to Malaysia, we offer fast and affordable courier delivery to help you get you parcel where you need it to be with the minimum of fuss. Trusted by millions of senders across the world, our extensive experience of international parcel delivery will make arranging your postage to Malaysia as easy as possible. Calculating what your shipping to Malaysia will cost is very easy with DPD Online. Our express and economy courier delivery will help you balance your budget with your needs, and we have plenty of information online to help you research sending your parcel to Malaysia in the best possible way. Fill in our easy-to-use online form to get your quote for shipping to Malaysia today. Do I need to deal with customs when sending from the UK to Malaysia? You’ll need to ensure that you’ve attached a customs declaration for your parcel before posting to Malaysia. Thankfully, we’ve made it easy. When you book with us, we’ll send over the documents you need to fill in so you know that your parcel can get through customs with minimal fuss. We’re nice like that. How much does it cost to send a parcel from the UK to Malaysia? With postage to Malaysia starting from as little as £18.33, you can rest assured that sending through DPDLocal-Online is always the most affordable option. And if you’re shipping a larger quantity of goods, you’ll save even more thanks to our bulk shipping discounts. How should I address my parcel for delivery to Malaysia? Addressing to Malaysia is similar to addressing to the UK. Remember to include the postcode and city name on the same line, with the name of the state on the next. For a more detailed breakdown on how to address a parcel to Malaysia, you can follow this guide issued by the UPU. For more information about Malaysia’s import regulations, check with the Malaysian Customs Department. You should also check out our prohibited items list for an idea of what you can and can’t send with our couriers.